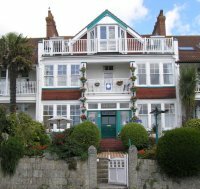 Poltair is a family run 11 room hotel in an attractive Edwardian building. You will always be sure of a friendly welcome & a bright comfortable room. Quiet location within easy reach of town & beaches with plentiful street parking. "Gay friendly"